Mud Runner, The Next Great Mud Sport? 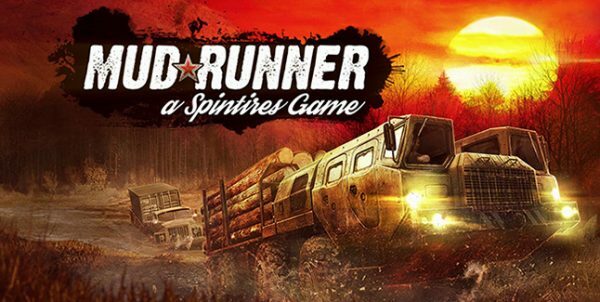 If you like trucks and you like mud, Spintires: MudRunner is the game for you! While not strictly racing, Mud Runner will give you a run for you money (see what I did there) if you’re the rip roaring, giant trucker type. Battle the elements, the weight of your pulls, and sometimes the clock as you face Challenge, Single, and Multiplayer formats. When you’re not fighting nature, you’re fighting machines as you attempt to master various vehicle load-outs including cranes, trailers, and more. While interesting in its own right, Mud Runner is absolutely geared toward a niche market. Unlike racing games that can be endearing in almost any format if structured properly, Mud Runner won’t cater to most preferences. You either like the idea of repetitive, tactile environmental puzzles, or you don’t. Neither preference is necessarily a bad thing though. Where at first my frustration with the mechanics knotted my stomach to the point of sickness, I now see the game as more of a relaxing journey into the abnormal. The longer I played, the more it grew on me. Still, I implore you to venture forth at your own risk. The game isn’t perfect. Yet I feel most who are familiar with the Spintires series are aware of the shortcomings by now. Nevertheless, as I adjusted, I enjoyed my journey a lot more than I would have expected. Why is the STOP sign in English and the other sign in Russian? Got me! The majority of this game is as such: start somewhere, get a thing from elsewhere, bring said thing to another place. Repeat. That’s it! Now, that’s only speaking for single player. The real fun actually exists in the challenge modes. Here, in addition to your main task, exists bonus options that add to your final grade at completion. Some of these are fun, like finding a pumpkin to squash or scaring birds with your horn. Others were downright maddening, like finding watchpoints, or not damaging cars and fences. All of these are understandable of course. In a game where the maps are more or less the same from level to level, variety and creativity aren’t going to be a strong factor. Still, it made things fun enough. The game isn’t without it’s faults though. One shortcoming was the tutorial mode, which is lacking in most all things. In fact, the tutorial is so lacking that it’s aware of how short it falls. Upon completion, it actually tells you to go through the challenge mode because it will teach you more there. What? Then why have the tutorial? Just have the game guide me with a tutorial mode I can toggle on and off, like so many other games these days. Your map will also be a struggle to maintain at times. Adding nodes isn’t terribly intuitive, and placing one doesn’t always eliminate another. Too many at once, that also fail to reset in time, can leave your worldview a veritable criss-cross of ribbons. This means you’ll have no idea where you need to go. Furthermore, since not every road is established on the map, this complicates navigation where it doesn’t need to be. Please don’t even get me started about night driving. Feeling a little water logged? Players will also spend a good amount of time fighting the camera when things get tight. This is most problematic when trying to navigate narrow roads. One camera sweep will leave you either behind or beside your vehicle if you’re not careful. Also, since there’s no way to have a direct top down view, you’ll be required to adjust your viewpoint constantly. Instructions aren’t always clear cut either, such as those that tell you how to operate certain machines or accomplish tasks. I actually had to cheat on one of the challenges. I couldn’t attach the bed of my truck to the hitch of a trailer, so instead I just used the winch to drag it around. The game never disqualified me, nor did it subtract points (that’s not really how wins work in Mud Runner’s challenge mode). I guess the ends justify the means? As stated before, the given location of roads is also vague at times. Portions of your maps aren’t opened until you find a watch point, so exploration is key. It’s not as bad as it sounds though. Most roads and even off road areas are negotiable in terms of driving. You will run the risk of engine damage if you’re careless though, and driving through a body of water can prove detrimental. Enough damage can cause an engine to stall which means you’re crossing your fingers or towing yourself to the nearest garage for repairs. This isn’t all bad, but it will certainly test your skills as a driver if you’re playing anything other than casual mode. Is this Russia or Mars? With all that being said though, MudRunner is overall an enjoyable experience. There’s enough here to keep you entertained for quite a while. Although each mission can take you upwards of an hour, it still pays to do the side projects. 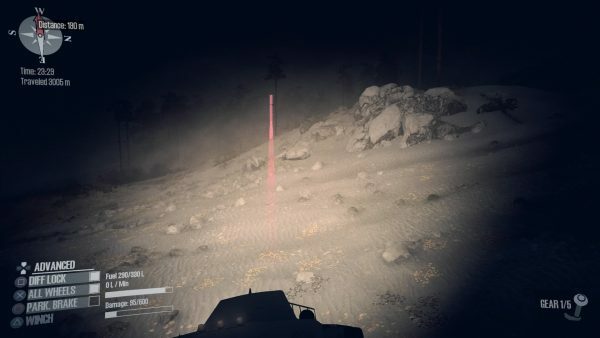 As stated before, running past the watchpoints on the maps visibly opens up areas that were blacked out prior. These aren’t the only things to lookout for while driving though. There are also garages around the maps that can be utilized for repairs. It benefits players to unlock those as soon as possible because you are going to need them when things get rough. 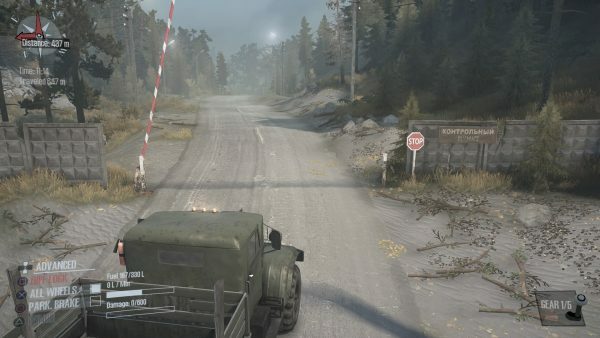 Players will also want to unlock the trucks placed around the map. Doing so enables the perks they come with for future truck builds, which makes your job a lot easier in the coming sessions. Fortunately this only requires about as much effort as driving through a designated AoE graphic that will be displayed when nearby. 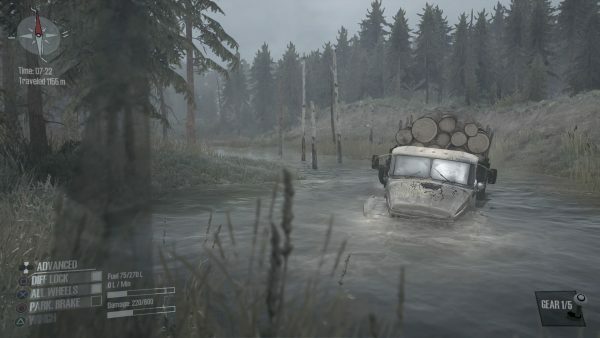 Ultimately, Spintires: MudRunner really doesn’t ask for much other than patience. It’s a game about driving big trucks in nasty areas. If that’s what you want, that’s what you’re signing up for here. I can’t speak to any replayability, and as previously stated, this game is truly geared toward a niche market. I enjoyed my time enough, but that was only after hours of frustration and realizing that this game accomplishes only what it wishes to. This isn’t a bad thing, just strange. Yet it’s hard to dismiss that this game was built with its own custom engine, and has an impressive physics system to boot. MudRunner is, if nothing else, stunning from a design standpoint. Full disclosure: This review is based on a PlayStation 4 review code provided by the publisher.